A wealth of human knowledge, accumulated on Wikipedia and preserved on tiny disks, has been sent to the moon. This is an impressive feat that capitalizes on our species’ technological accomplishments, ensuring that, no matter what awful fate our planet’s currently rushing toward, our careful documentation of everything from Icelandic badminton players to English “A-class roads” survives. The only problem is that the landing went awry. 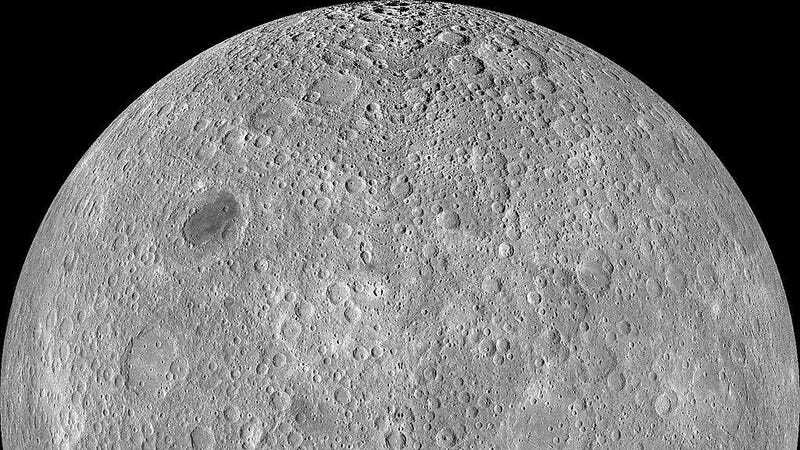 This isn’t good news, exactly, but it does mean it’s time for a lunar treasure hunt. Mashable’s Chris Taylor details how we found ourselves in this remarkable position. It all starts with the Arch Foundation’s Lunar Library project, which collected “100GB, or 30 million pages of text and pictures...embedded in 25 nickel disks in the tiniest type you can possibly imagine.” These “etchings should survive for billions of years” and were meant to be delivered to the Sea Of Serenity as part of an Israeli space mission last week. The Library got to the moon in a not-so-graceful way, the mission’s lander crashing into its surface “at 300 miles per hour” after a malfunction. The disks are designed to survive this kind of force, but, as a tweet from last Friday describes, the Library “was probably thrown a few [kilometres] away” from its destination. While there are boring old engineers working hard to locate the Library using nerdy math equations, we all know this problem won’t be solved until Nicolas Cage grabs a spacesuit and blasts off to the moon. According to the actor, we don’t have a National Treasure 3 yet because it’s too hard to find historical premises that are entertaining and plausible enough to work. Could the universe offer any better writing prompt than a treasure hunt for the moon’s lost library starring one of our cinematic greats? Read more about the search for The Lunar Library in the full article.